It’s all about the parenting when it comes to the internet and our children’s devices. I have noticed when doing the Mobile phone addiction test, that the more disadvantaged the school the higher the score on mobile phone addiction. Today new research published in the Irish Times (Click image above to go to the article) detailing that four out of five eight-year-olds own a smart device connecting them to the internet and half are already engaged in social media. 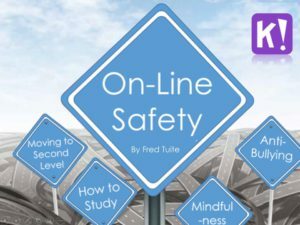 Click on image below to view our class content on on-line safety.